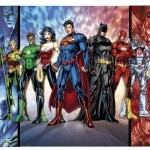 It has been announced that the DC comics universe is going through changes bigger than Crisis of Infinite Earth’s. The whole DC universe will be transformed in September into a modernised reboot of every title. Starting in September we will see a five week run of 52 first issues of old characters with new costumes and attitudes. The first comic series to go through the changes will be Justice League #1 which will be available slightly earlier on August 31st digitally. We still don’t know much of what’s happening at the moment. The news was first announced through USA Today which delivered the first official interview with Geoff John and Jim Lee about the historical change to the most icon characters in comic history. This was a chance to start, not at the beginning, but at a point where our characters are younger and the stories are being told for today’s audience. It’s going to leave fans confused for sure, if the whole universe will be rebooted who will be the Green Lantern Hal Jordan or Alan Scott? I’d love to know who gets lost forever and turns up in the public domain in 70 years. Personally I don’t know how it will effect the DC comics brand. It will defiantly boost sales in the first few months but a year on it could go either way. Will the long time supporters and collectors be put off by the new look characters we have had for the best part of a century. It’s also up in the air if this will lower the price of the classic comics or make them go through the roof. In the past origin issues have always been worth the most. Now they will all be rebooted will it lower the value of the original origin issues? The DCnU has gone through a full year and has just launched its #0 month. 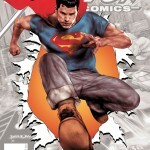 Reviewing Action Comics #0 and what DC are doing with the biggest comic publisher in history. 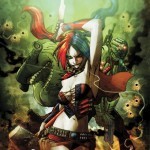 This September DC comics will be releasing a whole month of issue #0s to cover origins of the new icons of DC comics. The DC 52 Graphic novels have started to ship and are already selling out as fast as the comics did. 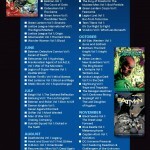 Here’s a full list of TPBs and price comparison. DC a super serious about making the DCnU survive, out with the old and in with the new decisions after just 4 issues. six have been canceled and six have been added to the roster. 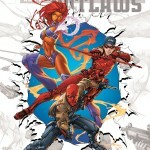 The DCnU has brought us another amazing new series in Red Hood and the Outsiders. It’s reinvented some of the best and most underused characters in the DC Universe. One of the most sexually controversial comics since Superman and Big Barda made that movie. Catwoman #1 from the DC Reboot is defiantly one for the adult reader. 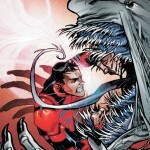 Another of DC Comics icons has been rebooted in the big DCnU of 2011. 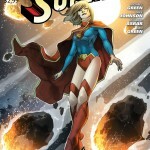 Supergirl crash lands to earth but where has she landed. 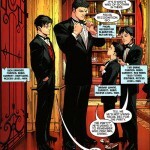 The new DC reboot for some hasn’t changed much but Superboy is one of the few who has been reinvented. Thought to be a failed genetic experiment from a cross between human and alien DNA. So far the DC reboot has been a mixed bunch. Suicide Squad is the perfect example of how the reboot can be used to the full. 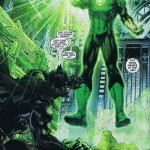 It’s a total reinvention of all the other incarnations and kicks off with an epic first issue. 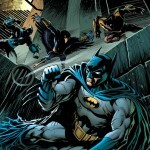 Not sure if this really counts towards the DCnU since it’s a spin off from Grant Morrisons Batman Inc from last year. 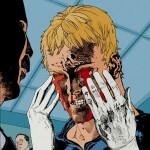 But it is well worth a read, take a look at the full spoiler-full review. 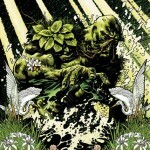 An old time fan favorite Swamp Thing is a survivor both in the pages and on the shelves. How will the new reboot from DCnU measure upto the classic tales of the Swamp. One of my most anticipated comics of the DC reboot. Animal Man #1 is out this week and it’s a total must buy comic if you liked the Grant Morrison run and one reason why the DC reboot was an amazing idea. 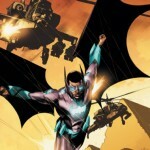 Fashionably late a Justice League #1 review. The aftermath and its too late for Johns and Lee to turn back now. Probably the busiest month for comics and especially DC for a long time. 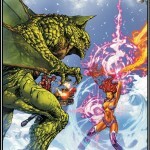 As 52 titles get rebooted find out exactly when each new issues will be released. 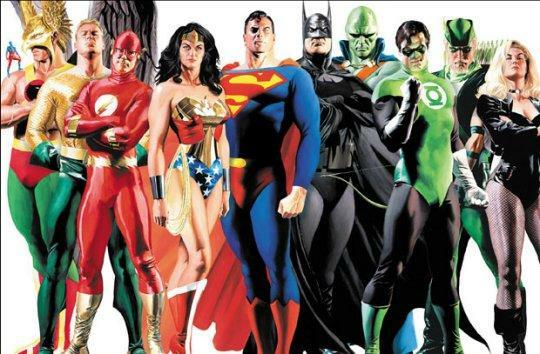 Jim Lee’s new Justice League has been leaked on-line in full new costume glory. A modern take on the 70 year old costumes we have loved for generations. The biggest month in comic history is coming in September. 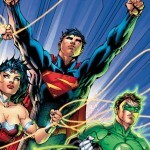 The whole DC universe will reboot kicking off with 52 issues #1s from Superman to Wonder Woman. Out of all the DC comics characters effected in the reboot it’s probably the most to change after the 70 or so years. 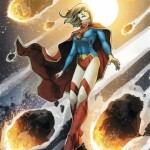 We now have the first image of Supergirl’s new costume. Thanks to Jim Lee and the awesome folk at DC comics we have the first image of the new Superman costume. 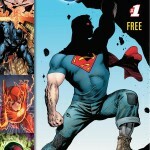 In the reboot Superman will undergo the most change due to the whole legal situation surrounding the super comic icon.